Classical music concerts are always a conversation. They are a conversation between musicians, instruments, and audiences. 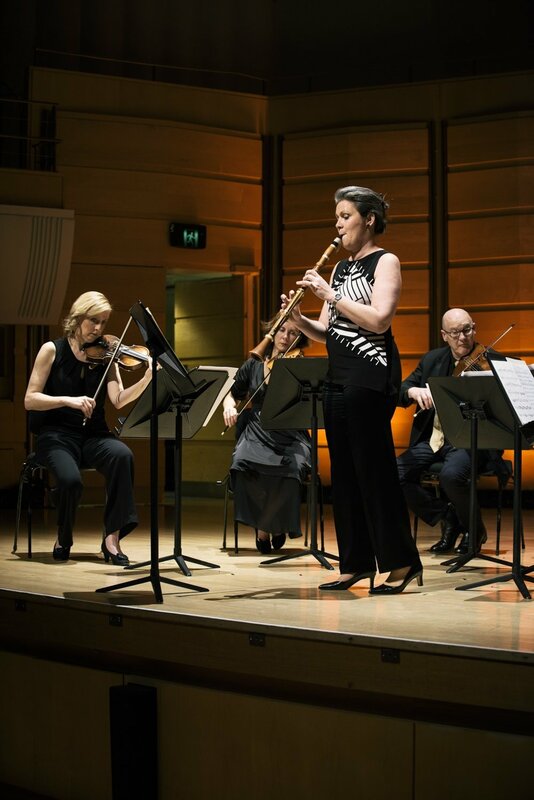 Revolutionary Romance, presented by the Australian Romantic & Classical Orchestra (ARCO) at the Melbourne Recital Centre this weekend was a conversation about the Industrial Revolution and newness. The Romantic movement in music came about as a reaction to the utilitarianism and dehumanisation of the Industrial Revolution. I find it amusing that Romanticism was a reaction to modernity, and yet it is very likely most closely linked to the Modernist aesthetics of the 20th Century. Romanticism was about individuality. It harked back to Medieval times and was closely rooted in nature. The whole idea was to celebrate individuality, emotion, and originality in a world slowly blending into a homogenous mass. The two composers chosen by ARCO to be highlighted in Revolutionary Romance were Louis Spohr and Wolfgang Amadeus Mozart. Spohr began the evening's entertainment because of his unique bowing practices and his insistence that his music would only find its true form in the technique of the musicians. Playing Spohr's 'String Sextet in C Major P. 140' we could see and hear some of what the composer was getting at. Rachael Beesley and Anna McMichael on violins keep their bow strokes long but played with tremolo and vibrato. What ensued was a playground of music entirely in concert with the violas and cellos, yet having an unconfined frolick of their own. Sometimes the cellos joined them with a heavier air and the violas keep the sense and order in the work. The beauty and genius was a sense of a grand family picnic in a country field. The violins, the children, the cellos, the parents, playing along, and the violas, the grandparents, watching on benignly. It was quite lovely because it usually seems the cellos are the serious instruments in the room, but not tonight. They got to play and skip too! Spohr was just an appetiser though. The real point of the evening was to introduce us to an instrument which was invented and then disappeared for a time in the 18th century - the basset clarinet. A basset clarinet has four lower notes extra than a traditional clarinet and Mozart wrote music for this instrument which has always had to be transcribed because few of these instruments were made and, unlike other wooden instruments, such as violins, woodwinds don't survive over time. With staunch determination and only a picture and some reviews, intrepid musicologists have managed to recreate this (admittedly ugly) instrument and ARCO founder Nicole van Bruggen has one. Due to the extended range of the instrument, people wrote about it being the closes thing to a human voice and when you hear it played, it is clear how the extended range does mimic speech. The instrument itself has beautiful tones and its frequency response allows it to play with the violins, but also the cellos at whim. Mozart wrote his 'Clarinet Quintet in A major K. 581' specifically for this instrument and in listening to it I found myself wondering why it didn't catch on. The instrument's ability to frolic up and down the scale gives that slightly exciting feeling in the stomach you get when you drive over a small bump in the road too fast - thrilling, unexpected, but extremely delightful. The evening ended with another fun piece by Mozart. The 'Grande Sestetto Concertante in E flat major K. 364' was originally written as a concerto, but some enterprising Romanticist created this arrangement to feature a string sextet and rather than pitting the orchestra against soloists, this version allows all the instruments to play together equally with enough solos to be shared by the whole group. This was evidently arranged so that players could enjoy intimate nights of entertainment with fun for everyone and you could see in the energy and movements of the musicians they were having a jolly good time with this music. We sometimes pooh-pooh the Romantics and rarely take the time to hear and understand what they were doing. Their love of the past made them an anathema as Futurism brought the modern aesthetic to town. The legacy lives on though in Expressionism, improvisation, and Post-modernism. Revolutioinary Romance was a night of fun and beauty and ARCO will be bringing more to us in their 2018 Concert Season.